PHOTO: Sustainable farming groups say lessons from organic farming can help solve Ohio’s toxic and unsightly algae problems and improve water quality. Photo courtesy NOAA Great Lakes Environmental Research Laboratory. COLUMBUS, Ohio – Algal blooms in Lake Erie are predicted to be among the worst in recorded history this summer. And organic farmers say taking a page from their playbook can help state leaders working to address the recurring problem, and other water quality issues. Organic farms are prohibited from using synthetic fertilizers, which are linked to toxic algae. One farmer, Dave Shively of northwest Ohio, says the practices he uses reduce runoff and soil erosion, which in turn reduce the chances that excess nutrients reach waterways. Ohio recently enacted a law (Senate Bill 1) that prohibits applying manure and fertilizer on frozen or saturated ground. 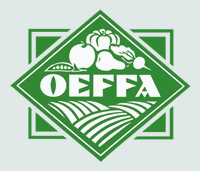 The Ohio Ecological Food and Farm Association is among the groups suggesting growers follow organic farmers’ lead and use sustainable practices such as cover cropping, crop rotation and field buffers to reduce farm runoff into waterways. Organic farmers also are required to take steps to maintain water quality as part of their Organic System Plan. Shively says protecting water sources is vital to the health of the ecosystem and the public. “What we’re doing is trying to not pollute that with pesticides and herbicides and insecticides, so we’re doing a more sustainable, natural way,” he explains. Shively stresses chemicals used in traditional farming should be reduced to improve water quality. According to the National Oceanic and Atmospheric Administration (NOAA), the effects of algae in Lake Erie are expected to peak in August or early September.